Thanks for visiting my website. I enjoy both playing and building guitars. For several years I have been expanding the boundaries of guitar design and experimenting with new ideas and various bracing designs. 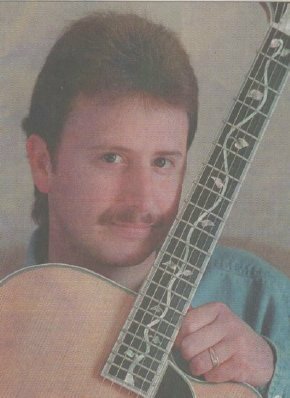 My latest and most successful designs incorporate a soundhole in the side of the guitar for greater volume to the player, and an adjustable port that varies the sound of the guitar. These features combined with Kasha style bracing produce a guitar with great tone, volume and projection. I am also proud to have a page set up with pictures of Kasha braced guitars built by Gila Eban and blueprints of her latest soundboard bracing designs. Please drop by from time to time and check for pictures of new projects. These guitars feature Kasha style bracing and side located soundholes. This guitar is a Kasha braced Jumbo with a side located soundhole. This guitar is a dreadnaught with X-bracing and a side located soundhole. I update this page every now and then with pictures of works in progress. Drop by and check to see what's new.